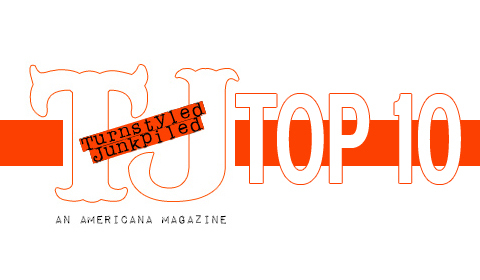 The closing of 2014 is upon us, we at Turnstyled Junkpiled Magazine are looking forward to the great music that awaits us in the new year. With a look back at all of the albums that made up TJs soundtrack of 2014, our writers from all over the country give their take on the top albums of the year. 2014 saw the finest record from the formidably talented L.A. punk turned master songster. Eno-like in its scope, Morning Phase plays like a soundscape experience versus the familiarity of a 12-song narrative set to music. The event horizon of Hansen’s musicianship, Morning Phase is not only the best album of 2014, rather one of the best albums period. The Austin based rockers hit gold on their 8th album, though the track record for Britt Daniels and his ever-rotating cast of musicians has been nothing but superb. What separates They Want My Soul from earlier ventures is its indifference to adhering to any other indie/alt-country trends; Spoon’s niche has existed but is now fully carved out. As we are living in the pinnacle of the newly rebranded slacker rock, one would easily crown Mac Demarco as the slimy king of distorted jangle pop. With an aesthetic you can’t help but love to hate, Mac Demarco wants to make you his enemy along the way and eventually invite you to his live show wherein he honors Canadian royalty such as Neil Young and The Band. Salad Days is the third installment of a morbid curiosity with Demarco’s ghoulish vocals and entrancing guitar prowess, proving the true shock will come when we actually admit to loving him. L.A. Americana continues to thrive into 2014. While Los Angeles is not Nashville or Austin when it comes to visibility in Americana roots music at-large, ironically, it is the central hub of mainstream pop music, home to the Grammys and still the power center what exists of major corporate record labels. Some fine artists have been migratory, passing through L.A. to land in where the milieu is friendlier to roots music. Brian Wright, Sweethearts of the Rodeo, Gillian Welch, Keb’ Mo’ and Lucinda Williams have all breezed through the Southland at some time in their career. The migratory nature of Los Angeles will most likely continue, but we can appreciate those on the path to greater success while they’re here. Some of the artists will also move on. But, for now, Los Angeles Americana can enjoy helping to support these great albums. For the ten selected projects released 2014, any on this list can stand toe-to-toe with Nashville and Austin sanctioned projects. This list was created to give some light of day to L.A. based artists who on the most part have been overlooked by Americana’s end of the year summation, but still have made impact in terms of their artistry, accessibility and innovative reach deserving national attention. Of course, there are more and we look forward to many of L.A.’s finest releasing new albums in 2015. For this year, however, these albums have had considerable impact on supporting the visibility of the Americana-roots music out of the cradle of Los Angeles, from Echo Park to Silver Lake to Santa Monica, the road goes on, if not forever, then powerfully centered in greater visions. This list is not in rank order. This Nebraska native, L.A. based singer-songwriter’s 4th album has an urgent, timeless and poignant appeal, tracing themes that are universal and personal. Like an epic road trip he highlights a distinctly Southwestern experience. a journey from L.A. to Tucson, Arizona. The album explores the various avenues of our spirits and the ties we hold to each other and to the land. This album is as consistently crafted as it is inspired in allowing themes and stories to naturally unfold and breathe with the life of first hand experience. This harmonizing, dynamic and inventive country-rock trio ably follows the footsteps of great Southern California legacies like Flying Burrito Brothers, Sweethearts of the Rodeo and Desert Rose in their own original way. With three streams of skillful instrumental work, incisive songwriting and seamless vocal harmonies, Ranch California calls back the ghosts of Laurel Canyon in the 60’s with a contemporary country-rock feel that’s as engaging as it is inspiring. No artist of the last 50 years has made a more lasting impact on the California musical landscape than John Stewart. 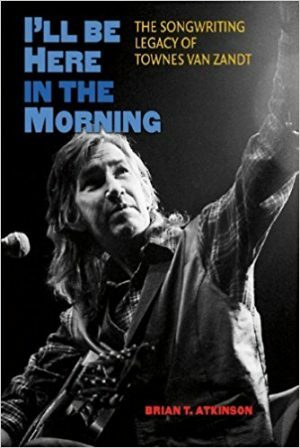 Singer-songwriter, Dave Crossland, has done justice to Stewart’s considerable legacy with an album that re-imagines the classic and off-the-beaten path songs of one of America’s finest poet-troubadours. This collection brings to the center Crossland’s own musical, vocal and arranging abilities illustrated in the bold way he has given new life to Stewart’s best known and loved songs. His bittersweet, reflective take on “Daydream Believer,” and the bluesy, soulful rendering of Stewart’s Top 40 hit, “Gold” in themselves, classic gems from a songwriter who specialized in his own form song diamond like songs. This band, fronted by Texan, Robert Black and New England native, Lee Briante, have their boot heels planted firmly in the same L.A. dirt once occupied by Woody Guthrie, Johnny Cash, Guy Clark and Kris Kristofferson. As they’ve crafted an album with the honky tonk roots of the golden days of the Palomino, they have filled this fine sophomore effort album with songs that call to mind the best of the what California country has to offer. Social Distortion’s Johnny (Wickersham) Two-Bags, captures the essence of growing up in L.A. and Orange County as he writes his way through this tuneful, spiritual memoir of an album. It’s a Valentine to both Southern California as a backdrop for a sometimes troubled youth and his late-father’s love for the folk-rock that was born here. There is a feeling of redemption, love and renewal that one would never imagine this Orange County punk rocker has up his sleeve. He pulls in support from Jackson Browne, David Lindley and Los Lobos to drive home the theme. It’s inventive, raucous, lyrical and reflective. Michael-Ann is a Kansas City L.A. transplant with family roots in the Ozarks. Her debut, Heavy Load stands in the stream of the great tradition of honky-tonk torch music and vintage country rock with a natural inheritance from Linda Ronstadt and Emmylou Harris. But, there is an authority on Heavy Load that engages us with her originality and passion for the song as a messenger for both heartbreak and the joy of living. There’s not a misfire or wrong note on this album produced with the Bakersfield-L.A. country congregation in mind. Her vocal performance and song artistry puts her at the front of singer-songwriters in Los Angeles with a clear pathway to Nashville and Austin. This album stands L.A. based Rod Melancon’s debut album-My Family Name-of traditionally stylized original outlaw country on its head, in the way it shows his willingness to expand the boundaries of his songs and delve deeper into the themes he began on his strong first effort. With the help of producer, Brian Whelan of Dwight Yoakam’s band, the country music here is grown through an earthy, edgy, dirtier sound that ultimately triumphs in artistic growth and a deepening of his Louisiana roots. Look for more echoes of Springsteen’s Nebraska than the classic Haggard and Cash influences from of his first time out. Anna Maria Rosales is solidly rooted in the Texas singer-songwriter tradition. She’s been performing in L.A. since 2006, with her co-producer, Rich McCulley, on this solid studio. This is as strong an album of Americana songs released this year recorded in the wake of her sister’s passing in 2013. Some of the songs are cradled in that bittersweet grief with melodies and lyrics as bright as the California sun. If there is that trace of loss, there is also a clear path out of the storm into the arms of some fine uplifting songs. 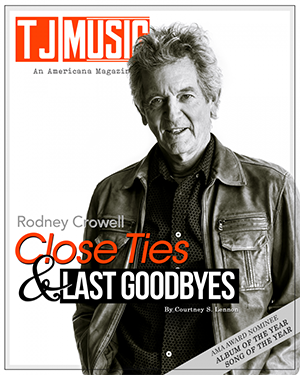 Rosales and McCulley have created a rich tapestry of soulful, country music with a collection that sings of love lost, found, redeemed and discovered anew. With a voice rich with character and range, Rosales has only begun to forge her legacy. She is another bright star on the singer-songwriter horizon. After 20 years of collaboration on a catch-as-catch-can basis, Susan Cowsill and Vicki Peterson, finally dropped a debuit album that lived up to expectations and then some. Cowsill, a singer-songwriter with a history in The Cowsills of the 60’s and Peterson, of The Bangles, have such strong chemistry in song and performance it feels like it can hardly be contained in this intricate, driven and celebrative album. They come on at times like The Everly Sisters with tight harmonies and songs that up their songwriting game in a way that is an absolute joy to behold. A marriage between Southern California mainstays the Fallen Stars and Australian singer/songwriter Ben Riddle results in a moody and magical album. Derek Thomas continues to write catchy, sophisticated songs that ooze with a surfer canyon breeziness to them. His cowboy folk has a familiar retro vibe that nods to the classic 70’s Laurel Canyon scene. Ford digs deep into his life story to produce a wonderfully produced album of organic roots soulfulness. A thesis on how to mine one’s story in song. A stomper of an album with infectious rockers and speedway greasiness wrapped in Melancon’s Southern Lousiana characters. 2-Beat driving muscle with finesse and scholarly lyrics from beat poets Lee Briante and Robert Black mixed with outlaw twang make the Far West’s sophomore album a bright spot of the LA area’s offerings this year. Adams welcomed return to songwriting abandon comes in this year with Adams performing at peak levels at times on this self-titled release. What’s old is what’s new. PBR supply tens songs full of their trademark brash, boozy rock & soul. Bookish lyrics, steady rhythm section and searing guitar mark this well-rounded 2014 release. CRB has been putting the pedal to the metal since they broke out of LA in 2012. Barely taking time off since opening shows at the Echo, the country-acid jammers and some of the steadiest musicians from the west continued riding their trip through 2014 with Phosphorescent Harvest. “Let’s Go” they invoked and gone they went. Local sirens Calico the Band comprised of Kirsten Proffit, Manda Mosher, and Aubrey Richmond summon their collective experiences into a beautiful debut album full of whispers of the vintage valleys, canyons and ghost towns of California in Rancho California. Rich harmonies and tasteful musicianship creates timeless California country at home in Bakersfield, Joshua Tree or the old Palamino. Love songs in California folk-rock sound that deal with heavy heartbreak. The type of album that one might order up at the bar of an outpost western saloon on a cold winter’s night. Perfect to either drown one’s sorrow or end up in a fight.